Spain Bounces Back, But Will It Be Enough? After a dreary start to the World Cup, the favorites bounced back earlier today with a comfortable 2-0 victory over Honduras and after two matches Spain has the goal differential advantage over the side that recently beat them, but a tougher final match in Chile who basically sealed a knockout round berth with two victories out of two so far in the tournament. Of course the chances of Chile missing out is still a possibility, but fairly unlikely considering Switzerland’s lack of a productive offense in the past two World Cups. 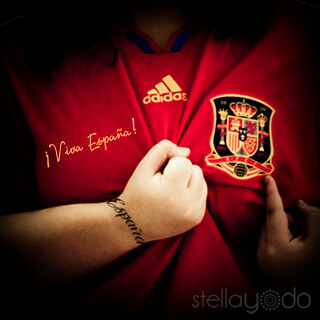 So Spain is back in pretty good shape once again, but a last match victory will be critical for the side. And has a team ever looked as good as Spain did in the first match and lose in the World Cup? Of course it isn’t a compliment you ever want to receive, but it is hard to think of the knockout rounds without Spain this season. But the remaining schedule favors Switzerland, but the potential goal differential tie breaker sways in Spain’s favor. Regardless of what could potentially happen the good news for the Red Fury fans is that Villa appears to be in strong form this summer and even Torres is at least back out there getting used to playing once again. Today Spain looked like a championship caliber team and they distributed the ball well for the 90 minute span. There was no defensive lapses or plays that were “mucked up” and the team showed an offensive identity through Villa’s two goals. The penalty miss for the hat trick was bigger then just the chance at a hat trick and would have given the favorites a two goal separation from Switzerland in the standings, but considering both side’s form this last week I’d say that the advantage has swung back in favor of the Euro champs. Now they just have to keep the ball rolling.